The Fintech Economy as part of its expansion is developing an important strategic alliance in the world of business and technology. We want to be the standard bearer of the development of fintech and all its variants of the world of information technology. We have known for some years that business development depends on the economic content that we are able to deliver to you. Since our association with Smart Card Marketing, we have seen a lot of technological evolution that will be put forward by the beginning of 2017. Thanks to the complicity and dynamism of our great privileged partner, Massimo Baronne CEO of Smart Card Marketing who helps us greatly by presenting his allies who are major players who will be added to our team as a partner, expert and Involved in the financing industry. I'm introducing you this week, Mr. Steve Gaynor, our new "partner-blogger" and speaker at the Fintech Economy. Steve Gaynor, MobileSolve Group, Inc.
MobileSolve Group, Inc. (www.MobileSolve.com) is a boutique investment bank assisting early and growth stage technology companies with M&A, capital raising and advisory services. MobileSolve is led by Steve Gaynor, who has over thirty years professional experience, and over twenty years in the technology industry. An investment banker, attorney, management consultant and CEO, he brings a wide range of skills to assist clients with building businesses and solving business problems. Steve graduated from Harvard’s Joint Program in Law and Business, simultaneously earning his MBA and JD (Doctor of Law) degrees. While at Harvard, he interned at McKinsey & Company, and served as an assistant to the Secretary of the U.S. Treasury (Finance Minister). Upon graduation Steve became a “Wall Street” attorney and investment banker in New York, first with Skadden Arps, a global top-five law firm, and subsequently with the investment bank L.F. Rothschild & Co., where he advised on transactions of all types, including M&A, restructurings, IPOs and secondary equity offerings, and private placements of equity and debt. Recruited by AirTouch, (now Vodafone), Steve became a leader of its successful international expansion in Asia and Europe. He was a senior member of teams that won the second GSM licenses in Italy and Spain, and served on the Boards of what are today Vodafone Italy and Vodafone Spain. Since Arthur D. Little, Steve served as CEO of Unifone, a wireless service provider funded by a $1.7 Billion VC fund, and CEO of Mobliss, a mobile messaging and games company. Both companies were sold. He has been on six boards, of which four companies were acquired, and on several start-up advisory boards. 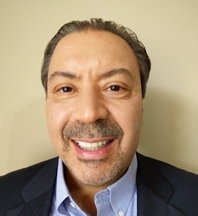 In addition to holding the MBA and JD degrees, Steve, who started university at 15, graduated with highest honors from Baruch College (CUNY), and earned the Certificate in Telecom Engineering with distinction from U.C. Berkeley. He is a member of the New York Bar, and a registered investment banker holding the Series 62, 63, and 79 licenses. Steve Gaynor may be reached at steve.gaynor@mobilesolve.com. Welcome Steve to Fintech Economy!